The Head, Heart, and Hand Ministry Catalog lists the different short-term ministry opportunities we offer here at HRBC. You will find a variety of opportunities for different ages, places, and needs. Some needs are weekly, while others are one-time. 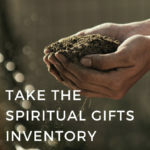 Spiritual gifts used in serving are listed with each opportunity. This catalog is updated quarterly. To volunteer, contact us by completing the form below. Description: The church gathers for fellowship, pizza, and a movie in the FLC. Description: Welcome men or women who are involved in the Caritas program. These individuals would be without a home outside of the program. A group of 30 – 40 men or women stay at the church overnight, are fed dinner and breakfast, can shower and get clothing washed. Church members develop relationships with our guests during the week by eating with them and providing entertainment. Description: Host families from our community and church on our church grounds for community building through fellowship, fun, and sharing the Easter story. Description: Serve on a weekend team that cleans and repairs the camp (in the mountains of VA) to host children and youth from the city of Richmond for summer camp. served and groups that have met for discipleship are recognized. Kings Kids perform. Description: Help us keep our campus beautiful and in shape! blessing of the backpacks will be offered. Description: Provide care for preschool children during worship. may aid in parking lot attendance, greet at specified doors, or stand at welcome centers. Description: Serve at our local Baptist Mission Center through collecting food, organizing their food pantry, building relationships with neighbors, and cooking meals. Description: HRBC works in conjunction with other area churches to provide an Upward Basketball League each winter. Upward stresses teamwork and basketball fundamentals in a non-competitive environment. Coaches and players share their faith as they learn together. Devotions are given at each practice and game. Gym Monitors, Coaches, Referees, Scoreboard Operator, game day devotion givers and announcers are needed. through stories, music, games, crafts, mission, and snacks. Description: Donate a bag of groceries to stock the Oregon Hill Baptist Center’s food pantry. We also need a driver to deliver the groceries to the center. kitchen equipment and clean up. Food is catered, so no food preparation required. Student Ministries large group gathering. 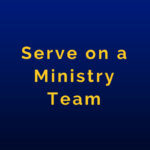 Are you interested in serving on a more regular basis on one of our Ministry Teams? Click below!